Our vision is "nurturing community, connecting all through Christ." McKendree UMC is part of the United Methodist Christian denomination, and a member of the North Georgia UMC Conference. For more information on these affiliation please click on the organizations name. In 1883, a small community of devoted Christians came together to worship as part of a circuit of churches. In 1915, they built the white frame church on the hill, Lockridge Chapel, now our youth center. For more than 100 years, since the time of the original brush arbor and frame schoolhouse with outhouses, McKendree UMC has been the center of the community. The church was named after Bishop William McKendree, who was the first American born bishop of the Methodist Church. We currently occupy three facilities – the “Main Building” (where we worship), the Education Building, and the Lockridge Center (the white frame chapel and fellowship hall building on the far side of the cemetery). Since 1984, McKendree has grown from 35 in one weekly service to over 600 in two Sunday morning worship services. The church is home to a preschool of over 200 students, 20 different Scouting organizations and a wide variety of church-related ministries. 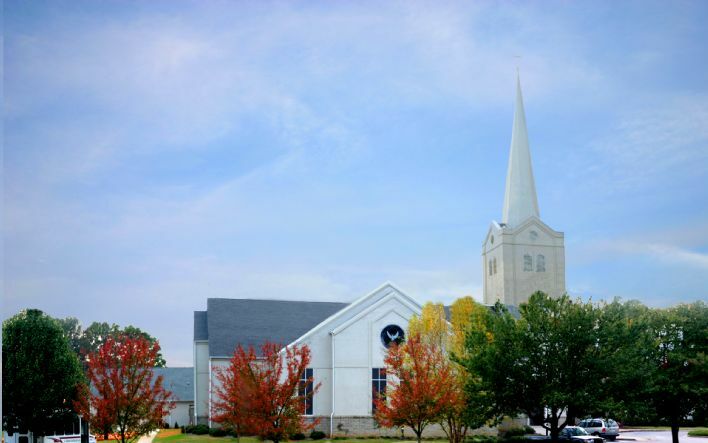 McKendree is a historic church with an exciting past and a promising future. Led by the Risen Lord, this body is continuing to grow, not just in numbers, but also in spirituality, as we forever seek to praise, learn, and serve as directed in the Scriptures. Whatever your interest, wherever you sense God is leading, you are sure to find it here.